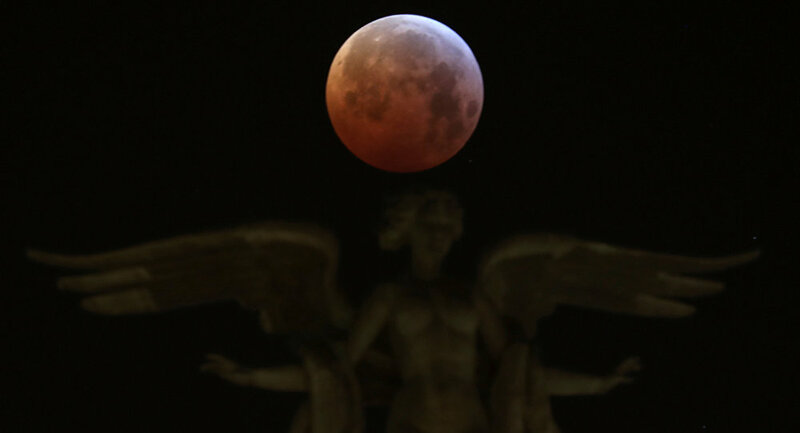 The impact has been captured on video for the first time in history during a total lunar eclipse. Skywatchers who observed the “Super Blood Wolf Moon,” a total lunar eclipse that coincided with a supermoon, were able to witness an incredible addition to their spectacular view that night – a meteorite impact. A small and quick flash was first spotted during eclipse live streams at 11:41 PM ET, just as the eclipse started. Scientists and astrophotographers managed to obtain the first ever shots of the event. The impact wasn’t officially confirmed until Monday. José María Madiedo, an astronomer at the University of Huelva in Spain, and her colleagues, who have been monitoring lunar eclipses for years with the MIDAS (Moon Impacts Detection and Analysis System) network of telescopes while specifically look for impacts, said that it was definitely a meteorite. It was the first time it has been captured on film during a total lunar eclipse, they said. The MIDAS team released a video of the rare event with a timecode of when the flash can be seen. Madiedo’s estimate suggests that the rock that hit the Moon that night weighed about two kilograms and was about the size of a football. The observation of such a rare event could help scientists understand the Moon’s surface topography and reconstruct its impact history.